Plagiarism: understanding and avoiding: What is plagiarism? 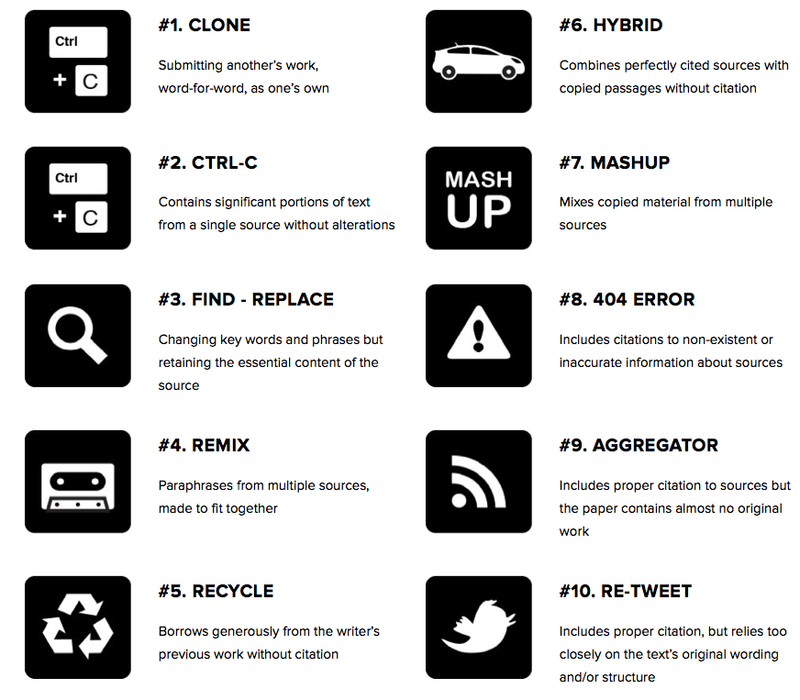 The 10 most common types of plagiarism ranked in order of severity. A short video that discusses the various types of plagiarism and how to avoid it. A 4 minute video explaining what academic integrity looks like. Watch the video "Academic integrity" listed above and test your understanding. This indispensable guide takes students through each step of the essay writing process, enabling them to tackle written assignments with confidence. ... Chapters are short and succinct and cover topics such as reading purposefully, note-taking, essay writing in exams and avoiding plagiarism.